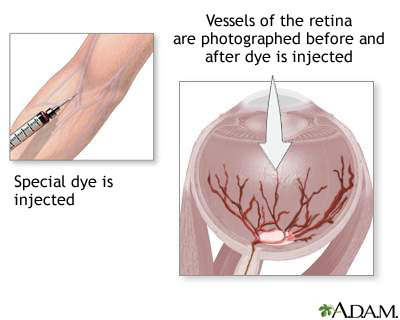 Retinal dye injection is used to determine if there is proper circulation in the retinal vessels in the eye. When dye is injected in a vein in the arm, a rapid series of photographs are taken. Among other things this test can detect problems such as blockages or tumors.